Being on the back of a motorcycle flying down the highway can be an exhilarating experience, to say the least, but that fun can quickly turn catastrophic if a negligent party does something to compromise rider safety. An automobile driver who doesn’t check his blind spot before making a lane change, a construction crew that left a hazard in the road, or a highway maintenance company that failed to ensure their road met proper standards can all contribute to a crash that leaves the driver of a motorcycle with serious or even fatal injuries. If you’re a motorcycle rider that’s been subjected to such treatment, then you’ve come to the right place. 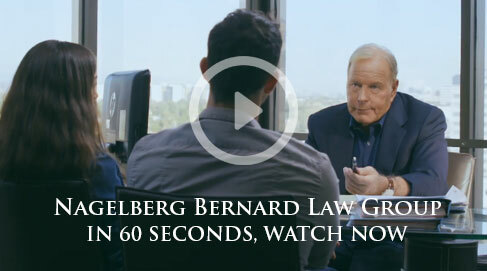 The San Francisco motorcycle accident lawyers of the Nagelberg Bernard Law Group can help to ensure that, financially speaking, you get back on your feet following an accident. We possess the unique skill set necessary to aid those persons filing claims in a motorcycle crash case, and we can put our considerable talents to work on your behalf. All of these services and more could be yours if you contact our team. To do so, simply dial the number on your screen or fill out the form at the top of this page. Our lines are open around the clock, and a member of our expert legal staff can begin to answer your questions through our absolutely free consultation service. If you’re not sure how much compensation you are entitled to, simply look to the costs that have accumulated in the wake of an accident. Medical bills, vehicle repair costs, lost income proven via pay stubs, emotional trauma, and other expenses should all be reimbursed by the negligent party that got you into this mess in the first place. A detailed record is the first step in ensuring that you’re case is airtight, as it shows the financial burden you’ve taken on. Let us handle the difficult aspects of your claim while you focus on healing. 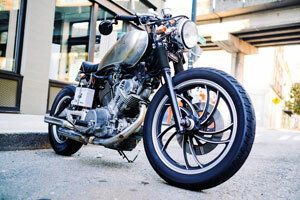 Contact the San Francisco motorcycle accident lawyers of Nagelberg Bernard today.